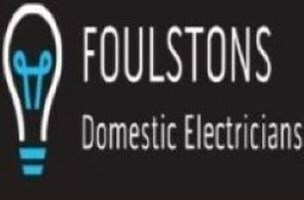 Foulstons - Electrician based in Petersfield, Hampshire. Foulston's Domestic Electrician's offers a full electrical service to homeowners including full or partial re-wires, new build installations, consumer unit upgrades, outside power and lighting, fault finding and Domestic Electrical Installation Condition Reports. I also provide certain services to small shops, offices and public houses. No job is too big or too small. For larger or speed sensitive jobs I can call on a team of associates to suit your requirements. Whatever the job a, professional, courteous and efficient service is offered to all my clients.